It’s time to make resolutions, set some big goals, and plan ways to be better in the new year, right? Not exactly! While I usually make a few resolutions that fly out the window mid-January, this year I realize there is only one area I need to do more and be better at; one area that makes the most difference in who I am and impacts every aspect of my life. My prayer life. 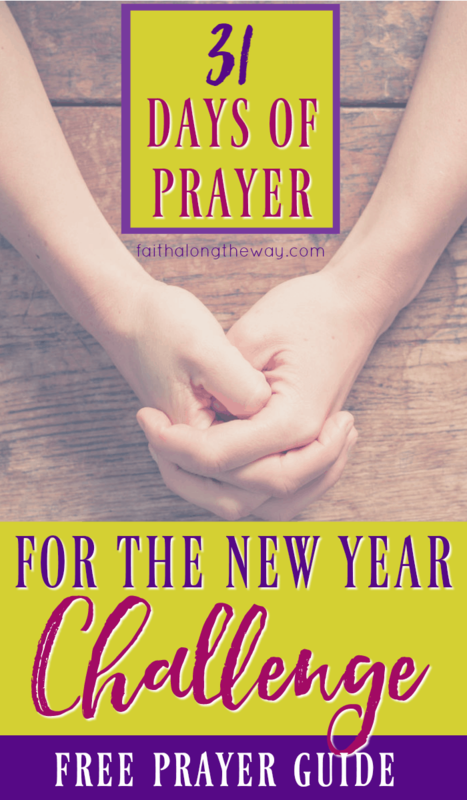 Will you join me in bowing your heart before the Lord and be in prayer for the New Year? Will you commit to giving God your all this year, recognizing that no other resolution is as important as the promise to meet the Lord in prayer? The following prayer outline will make it easy to bathe this new year in prayer. Jan. 1- Pray for spiritual growth & revival in your life and in the life of your family/friends. May God shape you all and mold you in His image this year. Jan. 2- Pray for God’s direction in your life as you trust Him to guide your path according to His will. Jan. 3- Pray that you will listen to God’s voice and learn to discern when He wants your attention. Pray with an open spirit, believing that God will meet you there in fellowship. Jan. 4- Pray that you will be obedient to God’s calling as He leads you, know matter how scary it may be to take a leap of faith. Jan. 5- Pray that God will give you a spirit of self-control; trusting that when you’re tempted, He’s provided you with a way out and the ability to stand firm in Him. Jan. 6- Pray that you will learn true humility; recognizing that God calls us to serve and put the needs of others before ourselves. Jan. 7- Pray that you will embrace God’s grace as you accept His forgiveness and salvation; recognizing that the blood of Jesus frees us from guilt and condemnation of our sin. Jan. 8- Pray that your joy will come from the Lord and not from things of this world. May you learn the difference between joy and happiness, knowing that the joy of the Lord can be present in times of heartache. Jan. 9- Pray that you will lean on God for strength, in the good times and in the bad. May He become your backbone and source of your strength. Jan. 10- Pray that you will learn to trust God with everything; when life is a breeze and when it is painful. Jan. 21: Pray that you live with a mission and search for ways to be the hands and feet of Jesus. Jan. 23: Pray that you will use God as your standard for living, not the world. Jan. 24: Pray that you will live out of your comfort zone, even as God calls you to take leaps of faith. Jan. 25: Pray that you will be bold in faith, trusting God in those moments when you can’t see what He has planned. Jan. 26: Pray that your relationship with your spouse will be strengthened, and that God will be the center of your marriage. Jan. 27: Pray that you’ll be empathetic to others and be ready to encourage a hurting heart. Jan. 28: Pray that your relationship with your children will be blessed and strengthened as you teach them to grow in the Lord. Jan. 29: Pray that you exude Christ in all you do and may His love radiate from your spirit. 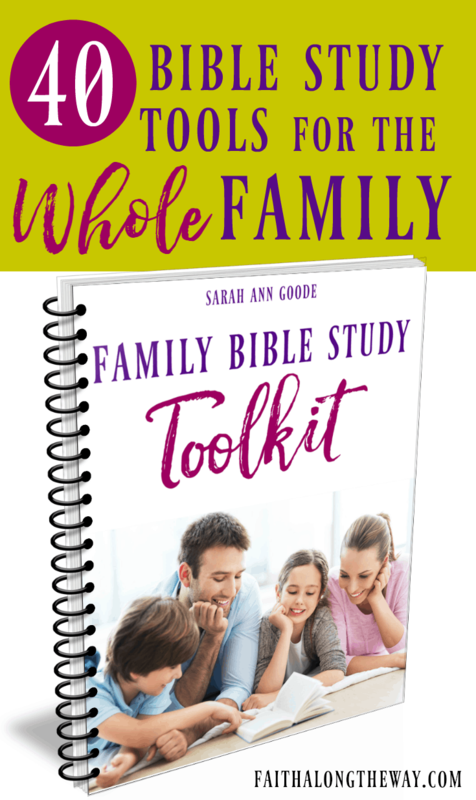 Jan. 30: Pray that you’ll be ready to be used by God and open to the plans He has for you. Jan. 31: Pray that you focus on Christ this year, and passionately pursue a deeper relationship with Him. 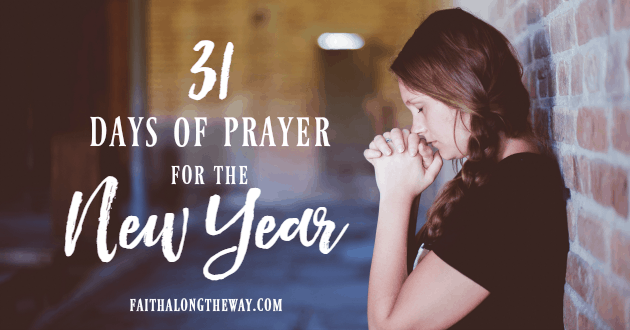 Make it easy to keep up with the 31 Days of Prayer for the New Year with the FREE printable prayer guide by joining the Faith Along the Way community! Ooo… I will be declaring several of these this year. I declare my joy comes from the Lord. Excellent list Friend. Deborah recently posted…New Year…Last Year? Thank you! I’ll be praying for you as you seek Him with passion this January! This is awesome! Beautiful graphics but even more beautiful heart! I want to be close enough to God to hear His heartbeat, and that takes prayer! That’s such a beautiful thought Sarah! Hello! I’m visiting from Coffee for Your Heart and just wanted to say a big thanks for the 31 Days of Prayer. Great idea for the New Year! I am so glad you found it helpful! I know I need to recenter my heart after the hustle and bustle of the Christmas season. Many blessings to you in the new year! EXCELLENT encouragement for these first 10 days in January!!! Thanks so much Kate! May we all turn to Him to be changed! Kimberly David recently posted…Is Your Right Resolution Wrong for You? I’m thrilled you found it helpful and encouraging! Many blessings to you in the new year! Beautiful reminders of prayer needs and of God’s Truth. Thank you, Sarah Ann. Your neighbor at Kelly’s. I was so excited when I found this. I am doing a 31 day prayer challenge over at my blog beginning January 1st. I am looking forward to sharing this with my readers. It will make a fabulous tool for us during our challenge. Thank you for creating this I just love it. How amazing! 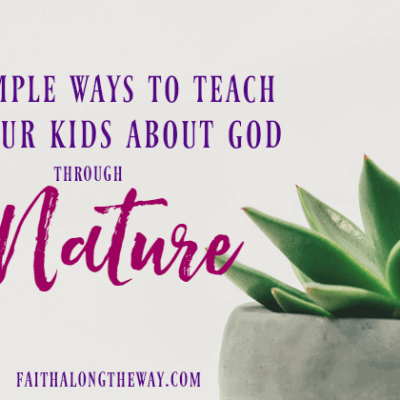 I can’t wait to stop by and check out your prayer challenge! What a great way to start the New Year! I love this! This is my 2016 goal! I’ve tried to subscribe but I don’t get the email to confirm. I looked in my junk folder and it wasn’t there. Can you tell me what to do. Hi Shannon! I am so sorry for the trouble! You may either want to subscribe again, or check your inbox again. Sometimes, it’s not as instant as it should be. 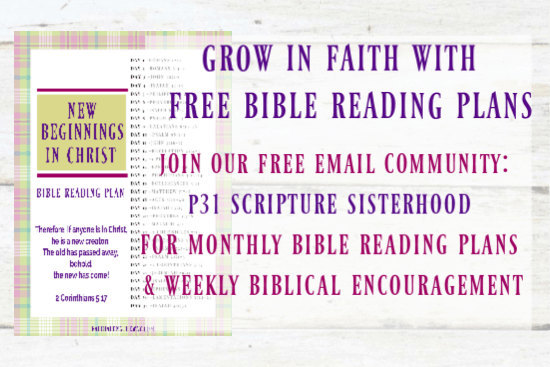 🙂 If you are still having trouble, please contact me at faithalongtheway (at) gmail.com. Thank you for wanting to subscribe. Happy New Year! 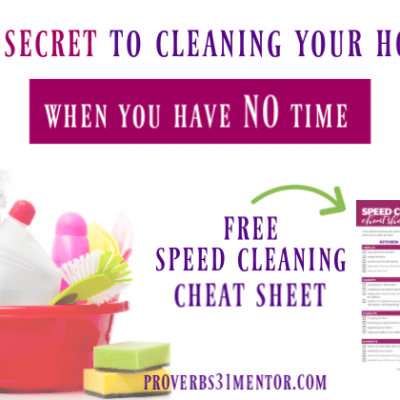 Here from moneysavingmom. Love this, and I plan to use it EVERY month, not just January! Thanks! What a wonderful guide! 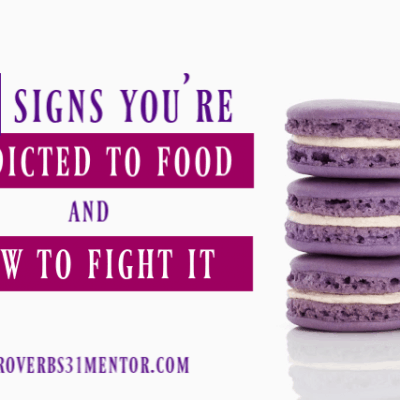 I need help in a few of these areas and prayer is a great starting point! I like this. This is a great idea. 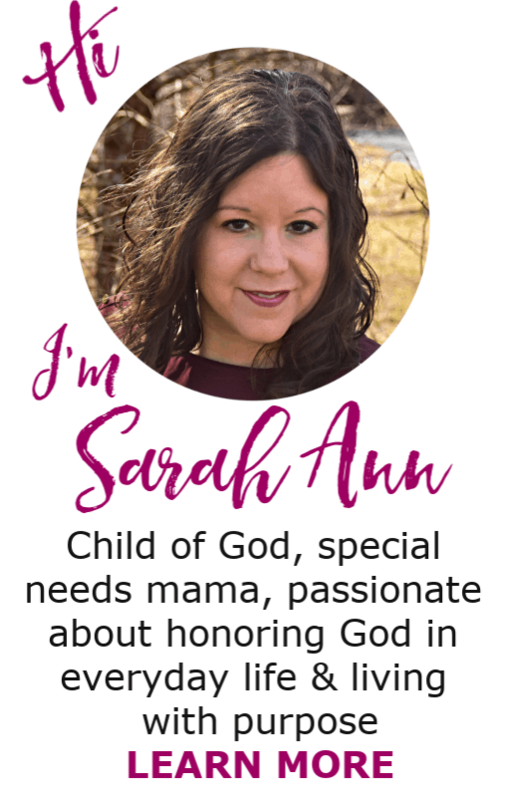 Great prayer prompts, Sarah Ann!